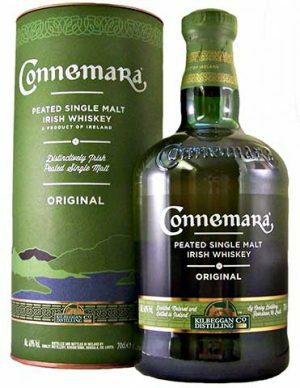 Connemara Peated uses the traditional Irish custom of drying the malted barley over peat fires with this peated single malt. The smoke rising through the malted barley during this drying process confers the whiskey with a distinct peaty flavour and aroma. These traditional distilling methods combined with natural ingredients and long years in oak casks continue to create a whiskey that is simply exceptional. Peat level of around 20-25 PPM. 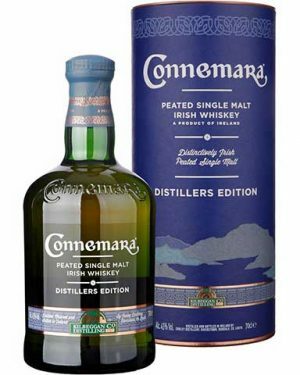 Connemara has launched this limited 'Distillers Edition', matured in sherry and bourbon casks, and bottled at 43%. *"Complex and tasty. Dried fruit, cooked prune, nuts and almonds, smoked"
*Gift pack includes two branded whisky glasses. 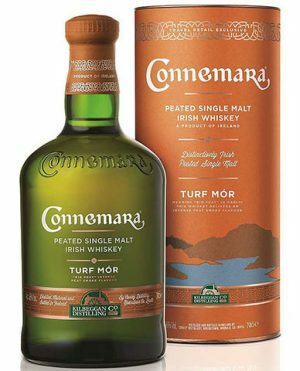 Connemara Turf Mór is a heavily peated Irish malt and is a follow on from the iconic smooth taste of Connemara, but this time now encompassing a deeper and earthier character. 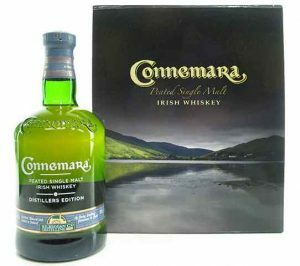 Remaining true to its Gaelic name, which means “Big Peat”, Connemara Turf Mór is 50ppm giving a profound peat flavour and a long, full-bodied smoky finish, a differing flavour profile for an Irish whiskey. 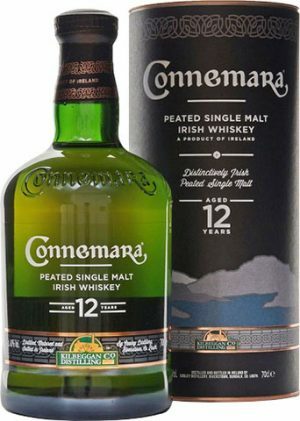 Neither “classically” Irish nor from the peated homeland of Islay, Connemara is best described as “Islay meets Ireland” as it retains the distinctive approachable taste of Irish whiskey with the smoky taste of Islay Malt whiskies. 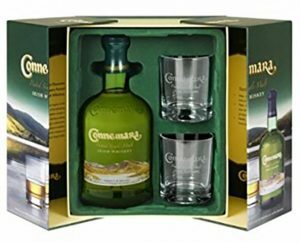 Each year a small number of the oldest and most exceptional casks are hand picked to create Connemara 12 year old peated single malt. 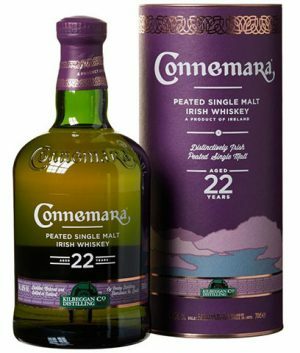 Along with the smooth malt and peat flavours is a rich layer of spiciness and lingering wood tones acquired from extra maturation in American oak. Includes a beautiful timber gift cylinder. "Silky smooth with a honey sweet start, followed by more complex aromas of malt and fruit giving way to the intensifying full-bodied peat"
Drawn from the oldest stocks at the distillery and matured exclusively in first fill bourbon barrels Non-chilfiltered and un-coloured.